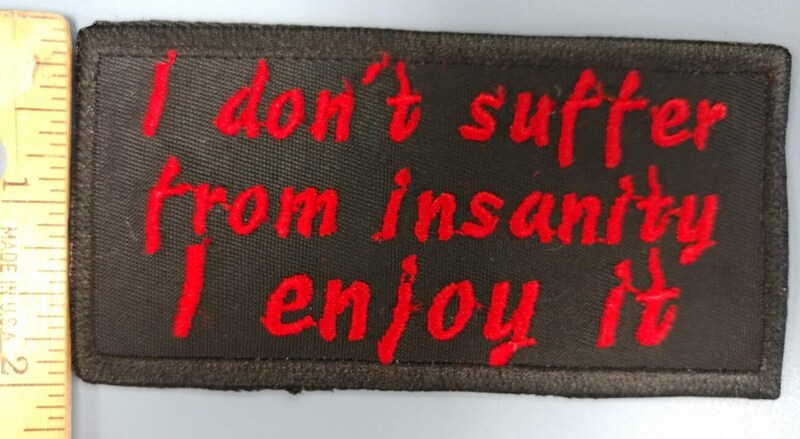 This funny patch says "I don't suffer from insanity I enjoy it." 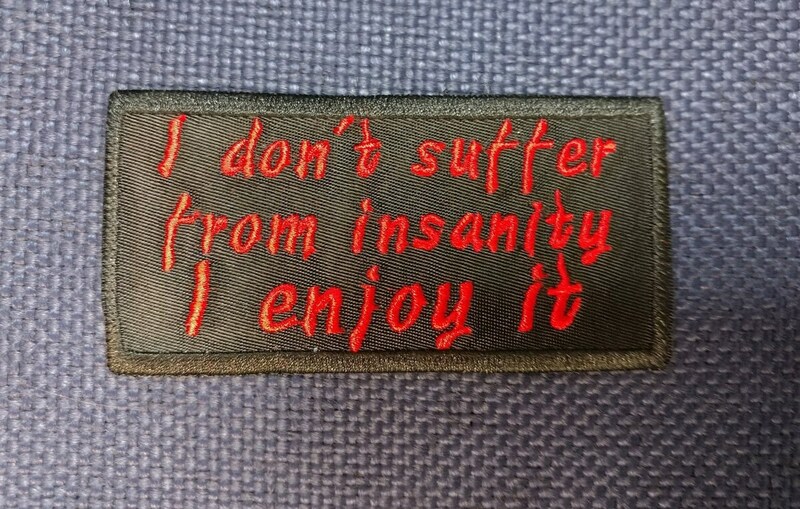 It is sewn with red thread onto a black patch background. 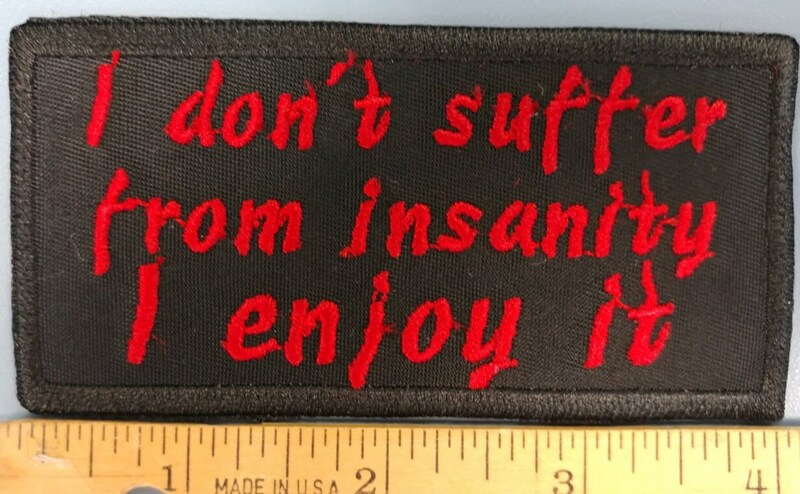 It measures 4"W X 2"H and has an iron on adhesive to help with application. 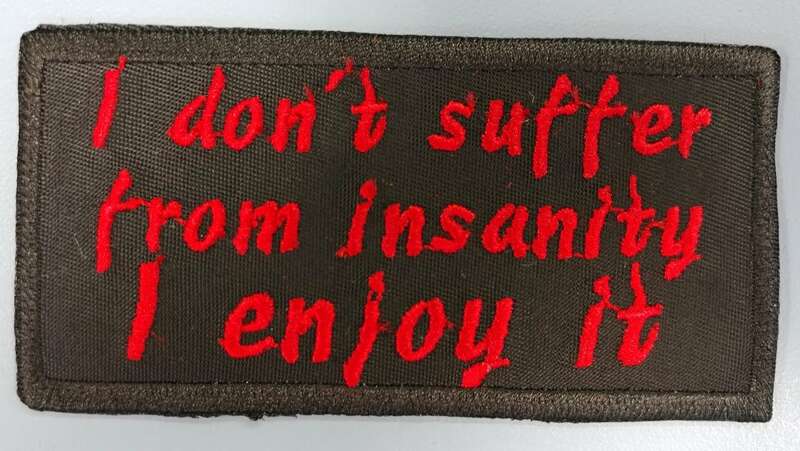 It would look great on any of your biker apparel.